12 friends. 12 million bucks. 12 months. No food. No adults. No backing out. * * * Eden Shepherd agrees to spend a year inside a biodome experiment with 11 friends from her high school. They're each paid one million dollars cash up front to stay inside the dome for a year... read full description below. Eden Shepherd agrees to spend a year inside a biodome experiment with 11 friends from her high school. They're each paid one million dollars cash up front to stay inside the dome for a year. The trouble is, there is no food, drink or electricity in Eden's new neighbourhood, and there is no bank for Eden to keep her million safe from her enemies - or her friends. 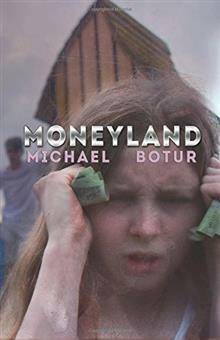 Author Michael Botur of Whangarei has published four acclaimed collections of short stories. He is a performance poet and works as a journalist and copywriter by day.